Jim Beam has traditionally divided its world between their core Jim Beam brand, including Jim Beam White Label, Jim Beam Black Label, Jacob’s Ghost, and Devil’s Cut, and their specialty or “small-batch” brands, including Booker’s, Baker’s, and Knob Creek. 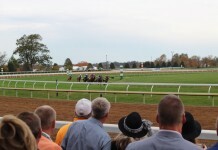 The two Jim Beam worlds used to be pretty separate with very little overlap or duplication. 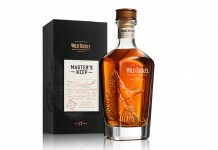 This has changed over the past year with parallel releases like Jim Beam Maple and Knob Creek Smoked Maple, which represented clearly different styles aimed at very different markets. At the same time, Beam has seen some solid results by expanding premium offerings under the Jim Beam brand with its Jim Beam Signature Series. It’s not surprising to see Jim Beam continue this strategy with Jim Beam Single Barrel, a younger (5-6 years old) and distinctly different offering than their existing Knob Creek Single Barrel (9 years old) release. Jim Beam Single Barrel Bourbon Whiskey (95 Proof / 47.5% ABV, $34.99) – dark gold in color, this single barrel is considerably lighter than the Knob Creek Single Barrel. 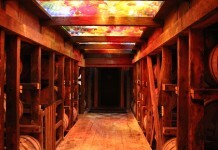 The nose of Jim Beam Single Barrel is light and slightly acidic with oak combining with orange, caramel, and marzipan. The citrus complements the oak and is well supported by the sweet undertones. The entry is lightly sweet with caramel and chocolate, but it’s quickly balanced by a slightly acidic orange. The progression is fairly linear with the flavors in the entry progressing into the midpalate where they are met with oak, cinnamon, black pepper spice, and a subtle peanut note. 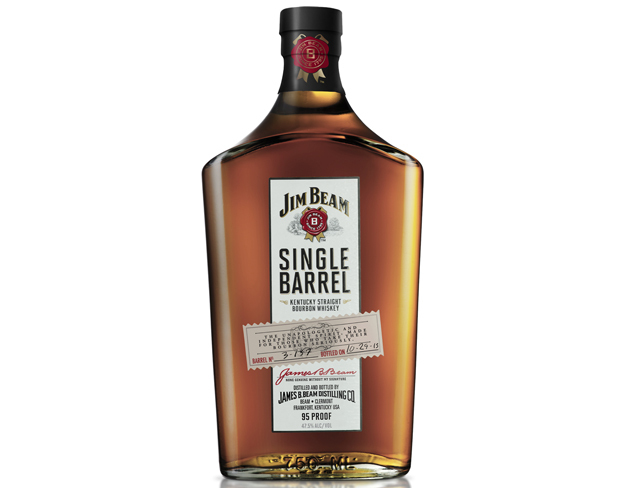 Jim Beam Single Barrel continues its slightly acidic character in the midpalate as the citrus drives the integration between the sweet notes and the spicy ones. The finish is long and slightly spicy, a little dry, but not overly so. The mouth feel on Jim Beam Single Barrel is nice, with a slight richness to it, but it’s well balanced and completely in line with the rest of the taste experience. Proofing this release at 95 proof is spot on, and there’s the right amount of structure without being fiery or too strong. Jim Beam has done a really stellar job of pulling together a release that is distinctly Jim Beam while offering something that’s more flavorful and with more dimensionality than its traditional Jim Beam White Label. This isn’t WOW whiskey, but it isn’t supposed to be. For that, Beam has Knob Creek Single Barrel which is much bolder, much higher proof, and richer than Jim Beam Single Barrel. With Jim Beam Single Barrel, Jim Beam shows that it really understands its core customers and has found a way of delivering a premium experience to them that’s right in line with the style of whiskey they enjoy.